2 years has passed since surgeon Jin Minakata (Takao Osawa) first travelled back in time to the latter days of the Edo period. In the Edo period, the disease beriberi (caused by a lack of vitamin B1) is rampant across Japan. Meanwhile, Saki Tachibana (Haruka Ayase) worries over the deteriorating health of her mother Ei (Yumi Asou). Her mother, who kicked Saki out of their home because of her refusal to go along with an arrange marraige, has now come down with beriberi. Jin attempts to treat her mother, but Saki's mother refuses treatment. Jin thinking of medical treatments decides to use donuts from the present day as treatment for beriberi. 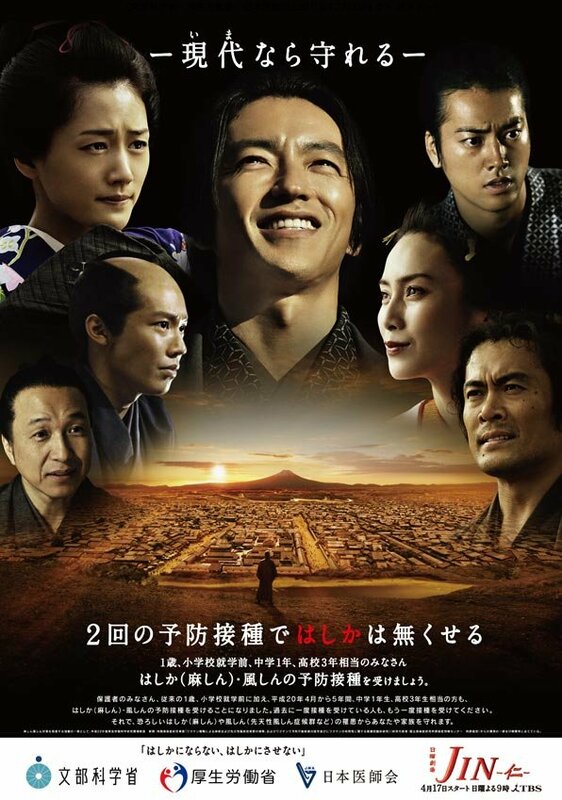 Meanwhile, Ryoma Sakamoto (Seiyo Uchino) comes to Jin and asks him to treat wounded Sakuma Shozan (Masachika Ichimura), who go on to become an important historical figure in Japan. Jin worries over his actions and whether saving an important historical figure could alter history. Jin also encounters a surprise when he treats Sakuma Shozan. drama fan Apr 27 2014 3:45 am Awesome drama! Misty Dec 01 2013 3:59 am You are so interesting! I do not believe I've read anything like that before. So wonderful to discover someone with a few unique thoughts on this subject matter. Seriously.. thanks for starting this up. farez syinon Dec 14 2011 8:57 am I just want to say, the ending is epic! Like seriously epic. Maybe it doesn't go like what most people would want it to (Jin goes back to that Edo Jidai etc) but for me, it ends perfectly. Grandmalee Aug 20 2011 12:31 am Jin 1 allowed more room for viewer imagination, and the use of intersecting images of the human embryo, the kaleidoscope, etc. was very effective in creating suspense and interest. Jin 2 was good, too, but not as persuasive as its predecessor. One reason, I think, is because it tried too hard to reconcile the story with historical events like Sakamoto Ryoma's death; hence, the reference to late Tokugawa events was a bit heavy-handed and distracting. I didn't like Takao Osawa's performance as much in the sequel. He was exceptional in the first. Haruka Ayase should win some prizes again for her subtle and touching rendition of her role. Miki Nakatani was exquisite in Jin 1 (the parting scene in the last episode was truly memorable) but didn't get as much opportunity to demonstrate her craft in Jin 2. I look forward to the day when Hong Kong TV companies can produce a drama series that approaches the quality of Jin. It's bold and daring of the Japanese production team to explain things by referring to chaos theory and the hypothesis of parallel universe. Would Hong Kong audiences be culturally sophisticated enough to tolerate, not to mention appreciate, something like this? cathy Jun 11 2011 6:05 am excellent drama , actresses are beautiful with natural looks .all casts are solid in acting , very interesting storyline and setting . Michelle May 10 2011 6:51 pm Anybody else shocked by Nakatani Miki's appearance? She looks like she had a lot of work done and she looks so old now. :-( It's sad because she looked perfectly fine before, she didn't need any plastic surgery.